Nicci Robinson, (right) with Roger Garrett, charity steward, from the Provincial Grand Lodge of Nottinghamshire (second right) and members, workers and volunteers at MENding UK. 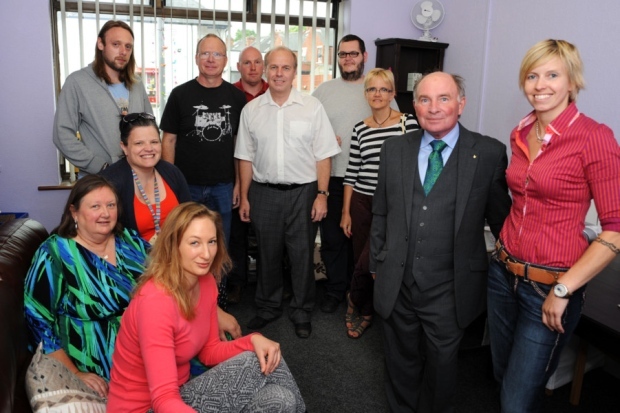 MENding UK opened last week at an event at its office on Byron Street, Mansfield. The charity was launched due to the lack of services for male survivors of childhood sexual abuse and domestic violence – both recent and historic. This comes after it was discovered that around 1 in 7 men have sustained some form of sexual abuse before the age of 16. MENding UK will operate under the umbrella of its sister charity S.H.E. UK, which offers a similar service for women. It is only the second charity of this type in the whole county. Services will be provided by health professionals and trained specialists. Users can contact the charity directly or may also be referred through professionals such as doctors, social workers or the police force. MENding can provide therapy, peer support groups, creative therapies and adult learning groups to help victims overcome what has happened to them. 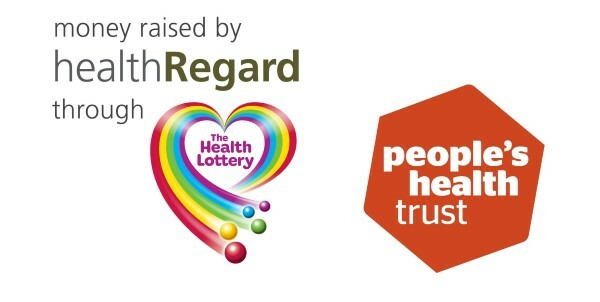 The charity has also got a new angle on connecting with their users – through the use of Facebook. They launched this digital service with S.H.E UK in 2013 and Nicci says it has helped them save lives. The biggest funders of the new charity are Nottinghamshire Freemasons, with a grant of £1800, and the Thomas Farr charity have also contributed. The original version of this article was published in the Mansfield Chad and can be accessed here.